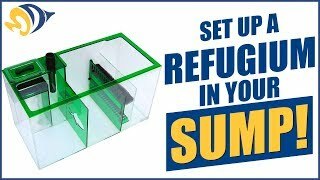 ReefPODS™ may be used as a starter culture to add to marine aquarium refugiums or the main tank and feed off your aquarium’s waste, detritus, or macro-algae. They are the only truly tropical live copepod culture available on the market today of harpacticoid copepod tisbe biminiensis. Tisbe adult copepods live on bottom substrate such as live rock or sand, where they make great food for bottom feeding fish such as gobies, dragonettes and blennies. Adult copepod size range from 0.70 -1.0 mm and can be harvested for feeding juvenile seahorses and other small fish. An established colony produces small nauplii (offspring). ReefPODS™ Tisbe may be cultured separately in a small tank by feeding PhycoPure™ CopePod Blend™. 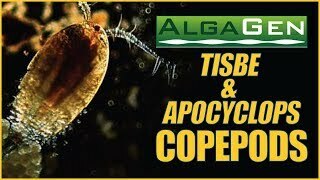 * Please note: AlgaGen ReefPODS™ Tisbe live Aquacultured Copepods ship via 2 day service. Orders must be received before 11am EST on Wednesdays to ship the same week, or they will ship the following Monday. AlgaGen was formed in 2002 with the goal of deriving products from plankton to benefit human and animal health. Early on, our passion for the aquarium hobby led us to ascertain that there was a need in aquaculture and marine ornamental market for a consistent supply of high quality live plankton cultures for breeding and feeding efforts. We decided to step up to the plate. We are a small company comprised of only 8 people. We are just the right mix of academic and commercial experiences with a real understanding of how important quality is with regards to this stage of the food chain. We have an experience set that spans greater than 30 years producing phytoplankton and zooplankton for hatcheries, scientific institutions and public aquariums where quality and attention to detail is critical. 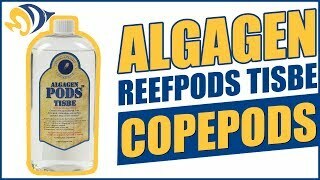 AlgaGen is a world leader in the production of copepods and phytoplankton. Our products have been utilized in countless novel species development projects such as leafy sea dragons, lookdowns, sea horses, palometa, mandarins, angels, tangs, snook, tuna, cod, sturgeon in addition to various coral and jellyfish propagation projects. We Practice Sustainability! We grow products that are not only good for your marine life, they are good for the environment! Microalgae consumes carbon dioxide (CO2) and in turn produces oxygen (O2). We recycle! The phytoplankton we culture feeds the copepods and the wastewater from the copepods feed other production systems. It is considerably more cost effective to grow PhytoPlankton and CopePods than it is to harvest them from the wild. We use less fossil fuels to grow plankton than are used to run a boat…. less pollution too! Our Products are Safe for your System! AlgaGen products are safer to use than wild harvested - no pathogenic bacteria, no parasitic organisms, no related fish diseases. We maintain strict protocols to insure our products are free of pathogens and we test them on a continual basis. When you use an AlgaGen product, you are getting a product with uncompromised quality and value, produced in a controlled laboratory setting. Was not what I expected. I thought it would contain more copepods. the bottle i got looked like it just contained water. Very easy instant gradification copepod colony! This stuff is great! Added two bottles to my 135 gallon. It has been 5 days and see the critters all over the tank glass moving around by the hundreds. Highly reccomend to get copepod colony established. Quick shipping and arrived safely. I could see the little buggers happily swimming around in the bottle.